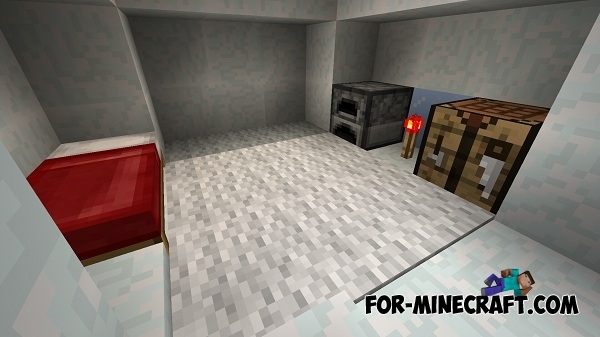 Pocket PC mod adds most of the blocks and items from Minecraft PC 1.8 and 1.9! 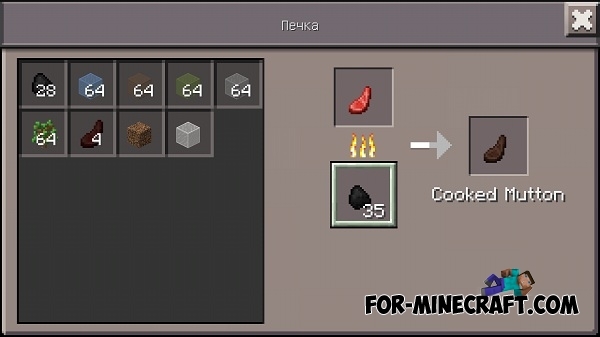 You'll find new items in the inventory of the creative mode. The interface of the main menu will now look a bit different and will be more similar to the PC. Now if you kill the sheep then it will start dropping raw mutton, you can roast this meat in the furnace. 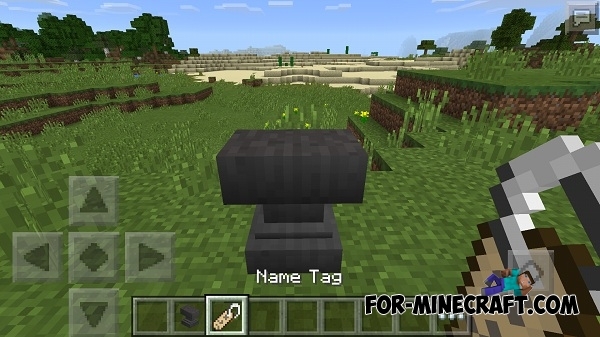 With tags, you can give the names of mobs. This is very useful for example when you want to give a name to your ocelot or doggie. How do I get a tag in survival mode - we still do not know. If you have information about this, then please inform us. Take the name tag from creative inventory and open the anvil interface. Now put the tag in the first slot and type the name in the field that you want to give mob. Get the item by clicking on the third slot. Now approach with this tag to the mob and just tap on it. Now over the mob will be the new name. Mod adds even the pistons. Of course they do not look like a PC, but still work and have sound! 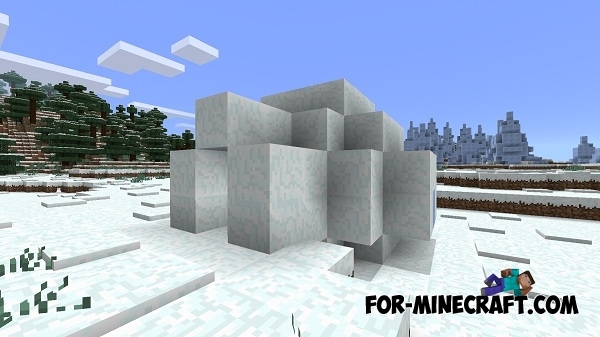 Get the pistons can be in a creative mode or survival with the help of crafting. As you understand, mod adds normal and sticky pistons. Normal piston can push blocks and sticky - push and pull it back. The mod adds a variety of other items and blocks, which you can find in the game itself. Igloo - a small building, which is generated in the winter biomes. It consists of one room, and inside you will find a secret room. Find the needle is very difficult, so you have a little patience. Chest contains many useful resources, including new enchanted book (Frost Walker). 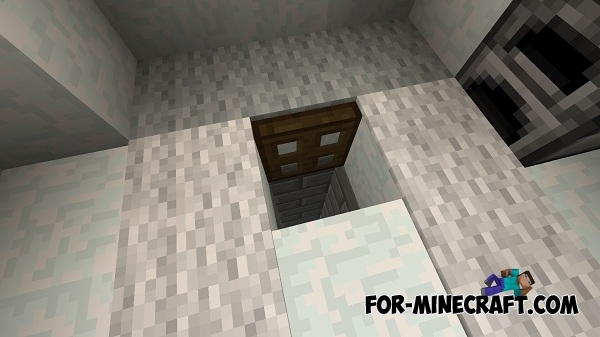 Inside is located a secret trapdoor! Find it and go down to the secret room!